Steel is a strong, versatile and inexpensive material with uses in many different industries. It has the highest strength to weight ratio of all construction materials and is 100% recyclable. However, in order to enhance and protect this vital asset corrosion protection is essential. 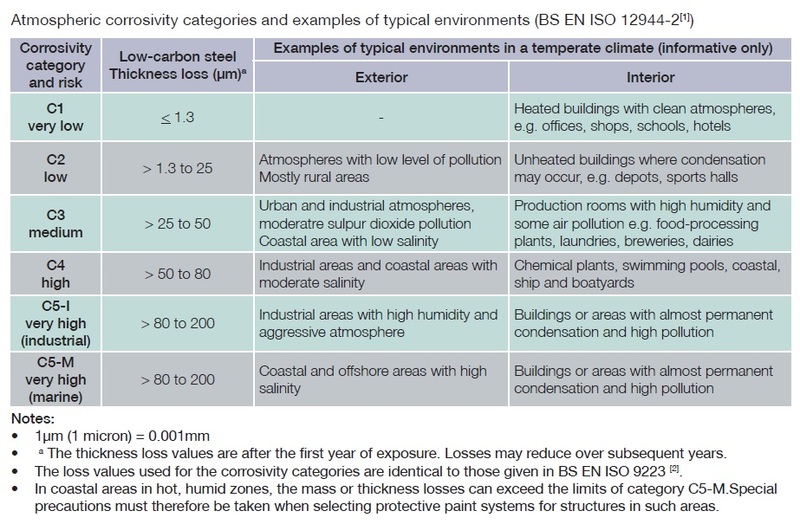 With large scale construction projects a design life of between 50 to 100 years is normally required for steel exposed to the atmosphere and other harsh environments. 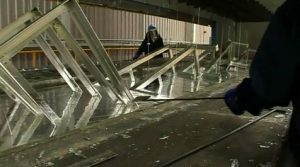 Hot dip galvanizing can and does provide long term rust protection for steel in some of the most harshest environments and is chosen as a corrosion protection system due to its inherent characteristics. 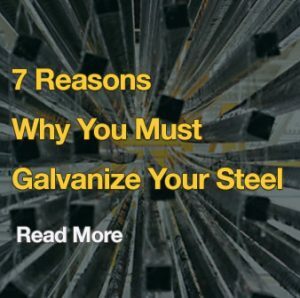 A continuous, impervious and tough – metallurgically bonded – coating completely covers steel, both internally and externally for hollow sections, that seals the steel from the environment, providing steel corrosion protection. Barrier protection is the basic and most popular method of rust protection. It works by isolating the base steel from its surrounding environment. As long as the barrier is intact the steel is protected, however, if the barrier is breached corrosion will begin. 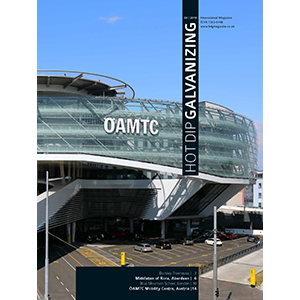 Two important properties of hot dip galvanizing that enhance its barrier protection is its metallurgically bonded layers and the impervious nature of the coating. Steel also corrodes at approximately 10 to 36 times the rate of zinc depending upon the environment. Different than barrier and sacrificial protection, the zinc patina protects the zinc coating. The metallic zinc surface reacts with the atmosphere to form a compact, adherent patina that is insoluble in rainwater. Galvanised steel progresses through a natural weathering process when exposed to wet and dry cycles in the environment. As galvanized coatings are exposed to the environment the formation of a thin zinc patina begins to form that consists of zinc oxides. This with further exposure to rain, dew and humidity reacts to form a layer of zinc hydroxide. During dry cycles, carbon dioxide reacts with the zinc hydroxide and forms a compact and highly adherent layer of zinc carbonate. The rate of the patina formation varies according to the environmental conditions and can take approximately 6 – 12 months to develop. The fully developed patina is insoluble in rain or snow and is able to protect the galvanized coating underneath.